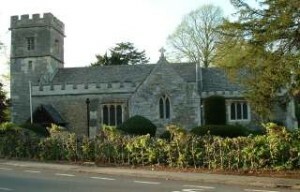 The parish church of St James the Great in Radley was built in 1290. It is a beautiful building with the original, and rare, wooden pillars still standing. In the Civil War a battle in and around the church led to the destruction of the north aisle and transept, giving a rather lop-sided feel to the church. There is a fine peal of bells and some interesting stained glass windows, many of which represent the connection with royalty established when the present rectory was a hunting lodge. The canopy over the pulpit came from over the Speaker’s Chair in the House of Commons during the Civil War. The Church was closed between June 2008 and February 2009 to allow urgent work to repair damage caused by death watch beetle. Church reopens. Reverend Rob Glenny (Tel: 01235 554739) is the rector of the United Benefice of Radley, Sunningwell and Kennington. Contact details for the churchwardens and other church officers are available on the church’s website. Please contact the vicar if you are interested in being confirmed or if you have an enquiry about a baptism, wedding or funeral. The church website also has information on the pattern of services and church organisations. 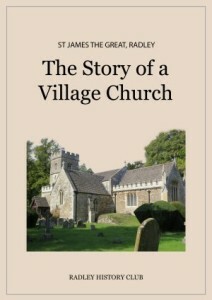 This illustrated book published by Radley History Club gives information about the building itself, the church history which influenced it, and the people who were involved in it, right up to the present day. The well appointed Church Room next to the church is available for village and church functions. The Parochial Church Council has published a Radley Parish Local Information Handbook.